Producing all this great content in marketing is just fine. But do you really know which pieces have most impact or which channels are most effective? I've struggled with those challenges for a while, so was excited to find a new tool called "Squeeze". It's currently on invitation-only Beta, but I think its easy enough to get an invite. I've been using it a few months now & I've found it really useful in gaining insights into the content being produced on this blog. I'm going to explain how I use it, but please this is NOT a product review or a user manual. I'll leave that to the guys over at Squeeze. How do I use it? Whenever I produce a post, I feed the URL into squeeze and it produces a custom, shortened URL for each of twitter, G+ and Linkedin (you can also extend this for email, blog & facebook). See Fig 1. You can then either copy these URLs into your favourite tools or share straight from the page. I personally use hootsuite, and like to use the auto-scheduling feature rather than publish as i post. Which means I do have to make two separate updates in hootsuite for Linkedin & twitter (hootsuite doesn't do G+) but its not much hassle. How does that all help? The custom URLs then give you the ability to track traffic to the site by channel. So the first insight is which channel gets the most clicks. FIg 2 shows all traffic to my blog, with twitter constituting 86% of all all traffic (vs 13% Linkedin and 2% G+). No surprise really as a) I have more engaged followers on twitter and b) I publish posts multiple times to twitter, but only post once on Linkedin/G+. The other interesting insight is which day & time are best to publish. In terms of day, it turns out Friday is best for twitter (Fig 3). But it's not so clear cut for Linkedin with Thursday & Friday (Fig 4) pretty equal. When it comes to time of day, Fig 5 shows 5AM EST (i.e. 10AM UK) is the best time for me to publish my posts. That's when I get the most engagement. Finally I can stack rank my posts to see what has been most popular. 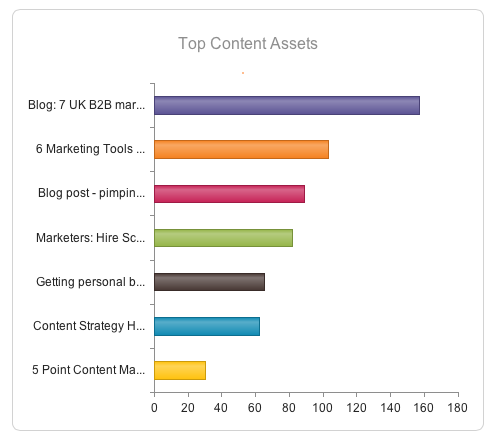 Fig 6 show that my "7 UK B2B Marketing Experts to Follow in 2013" is my most popular post yet. Leading me to interpret that you all LOVE a list! So there you have it. Pretty cool stuff, and definitely one of the "6 marketing tools that save my life as a B2B marketer". If anyone's had experience of squeeze or can suggest another tool like it, I'd be delighted to hear from you!